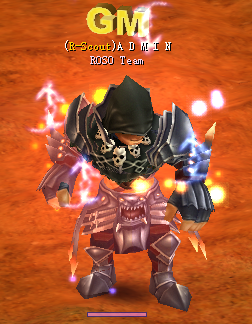 R-Scout stands for "ROSO Scout". It is a way for existing players to "scout" out new players to join our server via giving them a scout code to register with. 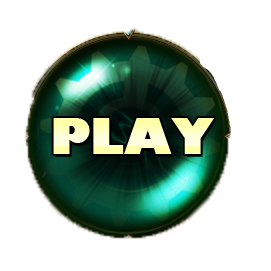 As they continuously play the server, both you and the player you "scouted" will be rewarded! You can access your Scout Page via the link on the sidebar of your account page. 4.) That person is then placed under your "Scouts"
5.) When that person reaches and redeem their Tier reward, you'll get rewarded as well! The prizes are rewarded in tiers. Meaning in order to get the prize, the Scout must have done the following. 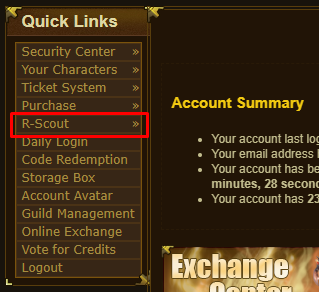 You'll be able to check how long you've stayed online via the Scout Page. Note1: Until the scout's account has redeemed the Tier III prize, they will not be able to participate in the "Online Exchange" feature. Note2: You'll only receive this necklace once. Note3: The recruiter will be able to only obtain their reward after the scout has. Note4: You cannot "scout" yourself. When you equip a Scout Necklace , you'll get a 15% HP bonus.